Say hello to the new Quark Turbo QB2L-X with Burst mode. 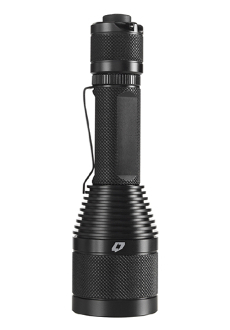 We've upgraded the circuits on our QB2L-X to give you a massive increase in lumen output. Thanks to the Burst mode, a new feature for the QB2L-X, this light will hit a blazing 870 lumens of output for the first 60 seconds on the Max setting before ramping down over the next 30 seconds to 50% of the initial output. As always, our Quark collection was designed to give you a staggering array of options, accessories, and interchangeability so that you have the right light for the job in any situation. With a waterproof, aircraft-grade aluminum body and impact-resistant lenses, these lights are tough enough to meet any challenge.